For the majority of our Clients interested in doing business in Malaysia, Healy Consultants Group PLC recommends entering the market through a Labuan company, because this way the procedures become straightforward and can be completed in four weeks. Our Client will not be required to travel during the engagement as our local representation will complete all mandatory steps from A to Z. Company Incorporation: Once signed and received, we submit the same to the IBFC in order to complete the incorporation of the new company. The company will be registered within eight business days, after which we email the certificate of Incorporation (COI) to the Client. Engagement completion: Labuan incorporation engagement is considered as completed. We courier a company kit to our Client, which includes the company’s original corporate documents, unopened bank correspondences and a Client feedback survey. All Labuan companies must secure and maintain an office space in Labuan at all times if they plan to hire expatriate staff. In addition to the annual Labuan Government fees, an annual fee of MYR7,500 will be payable to the Malaysia Government. Technical expert e.g. IT Specialist or other specialist related to Labuan trading activity. The applicant must have the technical and academic qualification, professional certificate or relevant working experience related to the position applied. Malaysia business through a Labuan entity? Malaysia my second home visa! 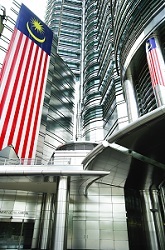 Success tips when doing business in Malaysia!